Elections in the Philippines as depicted in the movies are a grand affair. Big crowd scenes of miting de avance are regulatory. Parades, marches and sequences of candidates for elective office on the campaign trail are perfunctory. The plot may center on an assassination or even a massacre – the better to allow for a smorgasbord of cinematic genres enough to arouse audience interest and thereby drive the film to make a killing at the box office. While Chito Roño’s Badil is a motion picture about Philippine elections, it does away in so many ways with the stereotypes of such a movie. Here the main character is not the politico running for a public post. The audience encounters him only with his face on mounted posters and similar campaign paraphernalia. Instead of the politico, the film foregrounds a protagonist principally tasked to ensure votes for his candidate in methods and mechanism unique to the country. That there has to be such a person speaks volumes about Philippine electoral politics. Roño with his extensive filmography of slick and high-concept melodramas and big-budget adventure flicks has tackled the bizarre, the absurd and the surreal. It is no different in Badil as the director compels viewers to look at one country’s political system as the ultimate grotesquerie. The rambunctious democracy that is often attributed to the Philippines assumes in the film a level of gritty manifestation. On this account, the film becomes Roño’s boldest, most vocal and most critical of the established socio-political order in the land of his birth. Yet it is not wanting in prescriptive program of action and platform for radical change. The film gets to tread on philosophical-thought territory finding an apt metaphor for proper conduct of revolutions akin to the concoction of a cup of cappuccino. 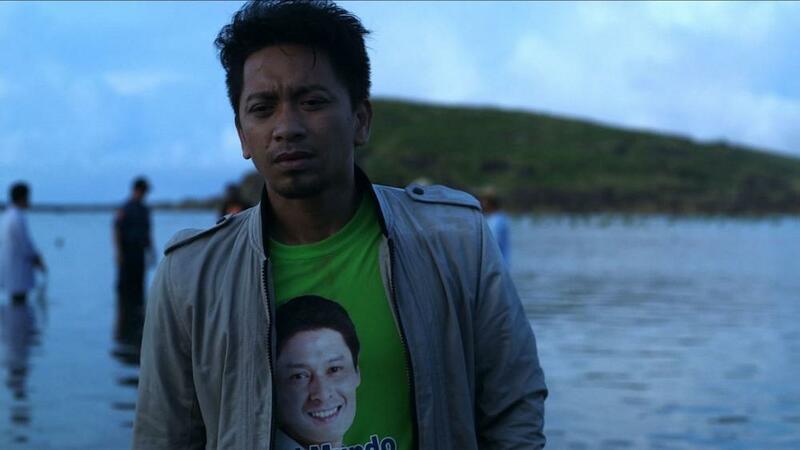 With the crucial run-up to national elections in a municipality that serves as microcosm for the entire archipelago as the locus of its narrative, the film consists of all-too banal and familiar scenes of people and situations that at the same time spell the very horrors the country’s populace contend with as they partake of the political exercise said to be among the greatest national passions of the Filipinos. Precisely because the film elicits a powerful and profound message at its core, production values while toned down render the film forceful and effective. Cinematic elements in the film are orchestrated in such a manner that the attention or focus of viewers is directed at the development of the plot and the plight of the characters. This is unadulterated cinema – without empty fanfare, bereft of the trappings of cheap thrills, devoid of gimmickry. 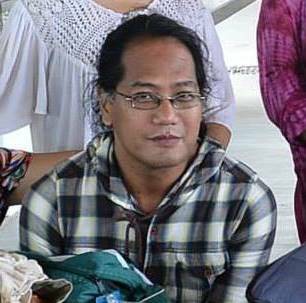 Nonoy L. Lauzon is the cinema programmer of the UP Film Institute. He holds double degrees in Philosophy and Humanities from University of the Philippines Diliman. He had worked for national newspapers such as the Philippine Journal and Manila Times and previously written reviews and commentary through the years for a number of publications including Mirror Weekly, People’s Journal, Evening Paper, Real Pinoy, Saksi Ngayon. Transgressing norms, mores, and the mindset of conventional society may be deemed the mark of a good film. When a film – that is a huge hit among vast viewing audiences – resorts to such transgression, one knows that it must be doubly good. This is the case for the horror feature Pagpag that by all means subscribes to the requisites of the genre only to subvert one’s expectations of the limits of popular cinema. What begins as a cautionary tale for the young that shun superstitious beliefs graduates to a far more foreboding treatise that poses a challenge to a way of life and view of the world on which much of social conventions to this day are founded. In Pagpag, the real source of shock and the horror experience lies not in its elements as a slasher pic but in the very premise by which the diabolical in the film is evoked and unleashed. What drives humans to enact a pact with the Devil can after all be as seemingly innocuous as one’s heterosexual desire to perpetuate the human species and preserve one’s obsession with the nuclear family. The film ridiculously appears to dramatize the sordid story of a couple compelled to go through lengths just to fulfill their dream of a complete social unit in the strict heterosexist sense. But it is on this account that the film departs from the usual path trodden by flicks of similar vein. It dares to be an allegory of a society that privileges the heterosexual paradigm and marginalizes what for it are all other deviant sexualities. In plain language, the film boldly posits that it is the heterosexual paradigm – and not its opposites and all else that runs counter or contrary to such — that can actually wreak much havoc for human and humane society. Much people have been reared on the notion that procreation is the essence of human existence without being prodded to realize that this too can be the wellspring for unspeakable evil. How many crimes, acts of injustice, dastardly deeds of oppression and exploitation in the world have been committed in the name of the family ideal — of securing a future for one’s children’s children, of being a good husband to his dutiful wife, of being a loving father providing for his brood? The film in its own way claims that it must all be crap as it is precisely the foundation of the dangerous ideology that very well sows the seeds of stark horror.